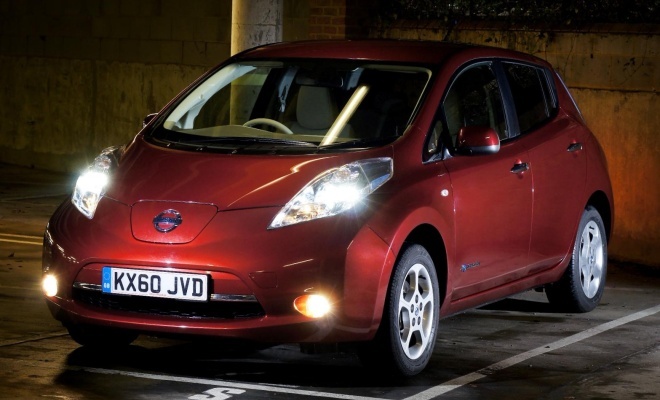 On my way to visit relatives in Gravesend last weekend, I drove past a car dealer and couldn’t help noticing the droop-nosed curves of a Nissan Leaf electric car parked on its forecourt. It snagged my attention because it wasn’t taking pride of place in the new-car area but was instead lurking among the mid-spec Micras in the approved-used parade. Despite a spot of half-an-eye-on-the-road craning, I wasn’t able to read the numbers stuck to the window. And then I promptly forgot all about it. But this morning I found myself typing “used cars Kent” into my current favourite find-a-car website, ticking the Nissan and Leaf option boxes, and wondering how elastic my bank balance might be. Leaf deliveries started in the UK in late March, so the oldest examples are now eight months old – nearing the magic one-year marker where a skinflint such as myself might feasibly afford one. They cost from £25,990 when new, after the government’s £5,000 contribution, so how much does a slightly curled and autumnal Leaf command? The cheapest I could find was sadly not in nearby Kent but 250 miles away in Newcastle. Benfield Nissan has a one-owner, metallic silver Leaf with 5,000 miles on the clock up for just £19,987 – a tempting six grand saving. The obvious drawback? It would take some planning and possibly quite some time to drive it back to my home in East London. A very-nearly-new black Leaf in Preston, 50 miles old and priced at a steep £24,490 also failed to fit the bill. And the Leaf I’d seen initially must have been the pearl-white 1,200-mile example for sale at Ancaster Penge for £21,995. So not actually in Kent, but nearly. And adorned with some truly unattractive demo-car decals. On reflection, no thanks. Since I’m spending imaginary money I don’t actually have, it occurred that maybe the optimistically expensive Mitsubishi i-Miev might be cheaper second-hand. Importantly, the egg-shaped EV costs less than the Leaf when new at £23,990 after grants, which is only fair as it is less spacious, less capable and less convincing than the Nissan. UK deliveries started in January, so the oldest examples are now rolling around at the 11-month mark. My nationwide search turned up 17 one-owner Leafs but only four i-Mievs. The cheapest Mitsubishi turned out to be 100 miles away in Linconshire, a white example with just 300 miles on the clock, for sale at £19,995. Another, up for £20,999 with 1,500 miles, currently lives in Fife. That’s 370 miles or at least four recharges from my front door, given the car’s 93-mile maximum range. However, there’s a couple of others on sale for roughly the same money, including a 3,000-mile silver painted example in nearby Putney, for £20,995. Alas still a little too much, for my money. Today’s conclusions? Firstly, that the catastrophic depreciation predicted for EVs by some sources hasn’t struck – yet. Prices remain strong, although supply is pitifully thin. It’s probably too soon to say what residual values either of these two cars will enjoy in the fullness of time. And secondly? 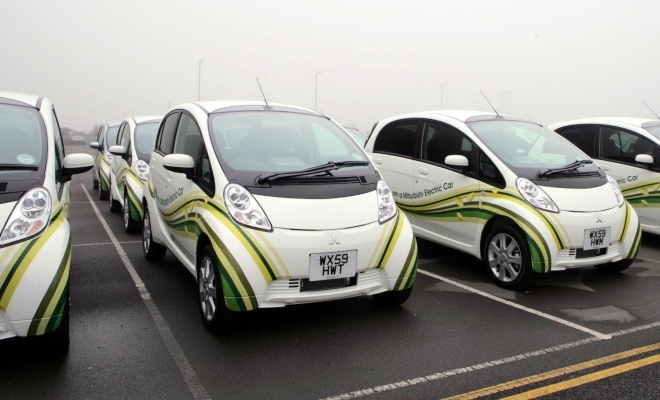 If you’re after a properly sorted used EV, they’re out there now, waiting to be bought. As long as you have roughly 20 grand to spend. Which unfortunately I don’t.